Thanksviging is almost here, and we’re all getting ready to create that wonderful dinner and visit with friends and family. 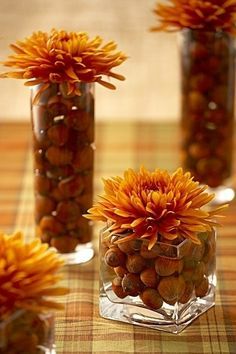 I love this simple but elegant Thanksgiving table decor. Hope you all have a great weekend, and check back for more inspiration for your Thanksgiving holiday! Please send me pics of your Thanksgiving table.